What does GUE stand for? GUE stands for "Gaussian Unitary Ensemble (of Random Matrixes In Quantum-transport Studies)"
How to abbreviate "Gaussian Unitary Ensemble (of Random Matrixes In Quantum-transport Studies)"? What is the meaning of GUE abbreviation? 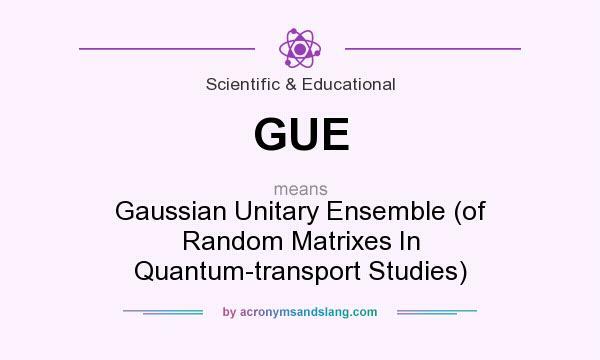 The meaning of GUE abbreviation is "Gaussian Unitary Ensemble (of Random Matrixes In Quantum-transport Studies)"
GUE as abbreviation means "Gaussian Unitary Ensemble (of Random Matrixes In Quantum-transport Studies)"